ABC Senior Services of Plymouth Meeting | Advice and information on aging senior care services and wellbeing. ABC Senior Services of Plymouth Meeting – Advice and information on aging senior care services and wellbeing. Now that autumn has arrived, summer activities such as gardening or boating are winding down. It’s time to make the switch and start in on fall and winter hobbies instead. Staying active throughout the year is a wonderful way to exercise your mind and body, ward off boredom and isolation and try new things. By exploring new hobbies and activities you will broaden your horizons and enhance your knowledge base. Head outside and capture images of the fall foliage, morning sunrises, evening sunsets, winter’s chill and rainbows after the rain. Look for birds, rabbits, squirrels, deer and other creatures enjoying the great outdoors, or find still life indoors that inspires you. You could also click photos of family and friends as you celebrate together, or participating in day-to-day activities. Let your imagination run wild and your creativity shine. What better way to prepare for cooler weather and upcoming holidays than by knitting or crocheting? Use this tutorial on YouTube for simple instructions. You can make baby blankets, scarves, mittens, socks, sweaters, and much more! What a special homemade gift or donation to charities in need. Craft stores and community centers teach knitting/crocheting or have weekly or monthly get-togethers where community members can come together and socialize while working on their craft. Put all of the wonderful produce you grew this summer or picked at the local farm to good use. Can your own jams and jellies, sauces, pickles, fruits, and much more! You’ll have delicious homemade goods to enjoy throughout the winter and spring until it’s time to start gardening again. This can also be a great way to use up the apples you’ve picked this fall. Whether you love painting, sewing, beadwork, needlepoint, woodworking, building, handyman or other tasks, autumn is a great time to start. There are lots of fall- and holiday-inspired crafts to make for decorating your home, selling, or giving as gifts. Put a personal touch on projects you find to make them your own. DIY projects can also be a wonderful way to spend time with grandchildren and do fun things together. Are you good with odd jobs around the house? Offer your services to a neighbor or friend in need. Your hobby can become a way to give back to your community. While you’re outside taking in the gorgeous weather and hiking, bring along a pair of binoculars and a small bird book and go bird watching. See how many different types of birds you can find in your area and how many you can identify. This is also a fun and easy hobby to do while you’re traveling. Bird Clubs of America has groups throughout the U.S. Search their locations here. These are just a few of the many hobbies you can enjoy this fall & winter! You may also want to try baking, scrapbooking, painting, golf, hunting, antiquing, book clubs, writing, and much more. Find things that interest you and your social circle will widen! If you’re concerned about your senior’s safety at home or feel that they could benefit from someone checking in and providing support with daily activities, contact Always Best Care today at (267) 217-7059 or email David Baim at dbaim@abc-seniors.com. Empower your senior to stay active as they age in place and enjoy pleasant companionship through the help of an in-home caregiver. The air is getting cooler, the leaves are changing colors, and pumpkin spice lattes are everywhere – autumn has arrived! This is a great time for seniors to get out and enjoy since it’s not quite so hot as the summer. There are plenty of fall festivities to get everyone in the mood for the changing seasons and upcoming holidays. Seniors can get together with friends or family to embrace all that autumn brings before winter arrives and snowflakes start falling. Go pumpkin or apple picking: Make your way out to the farm and pick up a pumpkin or two to carve and use as Halloween decor. A mixture of small pumpkins and gourds are beautiful centerpiece. Apples are also in season right now. Enjoy fresh, hand-picked apples for making cider, homemade applesauce or apple pie, or just for eating as they are. Many farms also offer a variety of other fun fall family activities, so plan with your kids and grandkids. Watch the leaves change: Go out and explore the area around you to find the best place to watch the leaves changing colors. This Fodors.com article has the 10 best fall foliage trips in the U.S. The northern states are especially beautiful this time of year, as are some of the mountainous areas. Drive up to a lookout or go hiking and connect with nature. It is also a great opportunity to take beautiful photographs. Celebrate at a Fall Festival: Discover what’s going on in your own community (click here) and attend a local Fall Festival. There are sure to be plenty of delicious foods and drinks, great entertainment, and opportunities to simply enjoy time spent with friends and family making memories. Roast marshmallows: Get together with family and make a fire in the fire pit. It’s a fun way to warm up while taking in the sights, sounds, and smells of the great outdoors. Bring along everything you need to roast marshmallows and make s’mores, or warm up hot chocolate or cider. Fall can also be a wonderful time for seniors to share stories from when they were growing up and see how things have changed and what they are thankful for. Get to know family history and traditions that you can continue to share for years to come. Or, start making your own traditions that you can pass down through the generations. An in-home care provider can be a great companion for sharing stories and reminiscing. 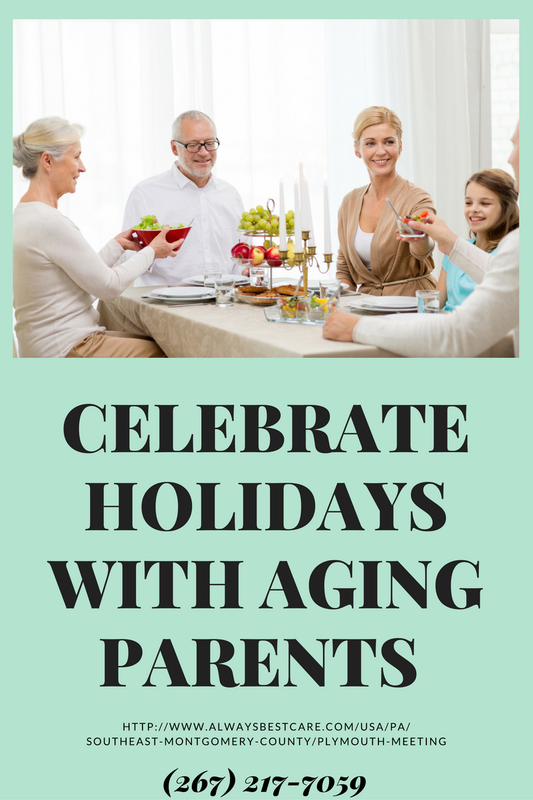 They can also help seniors to plan activities, get their house decorated, go to different events, and bake holiday treats. 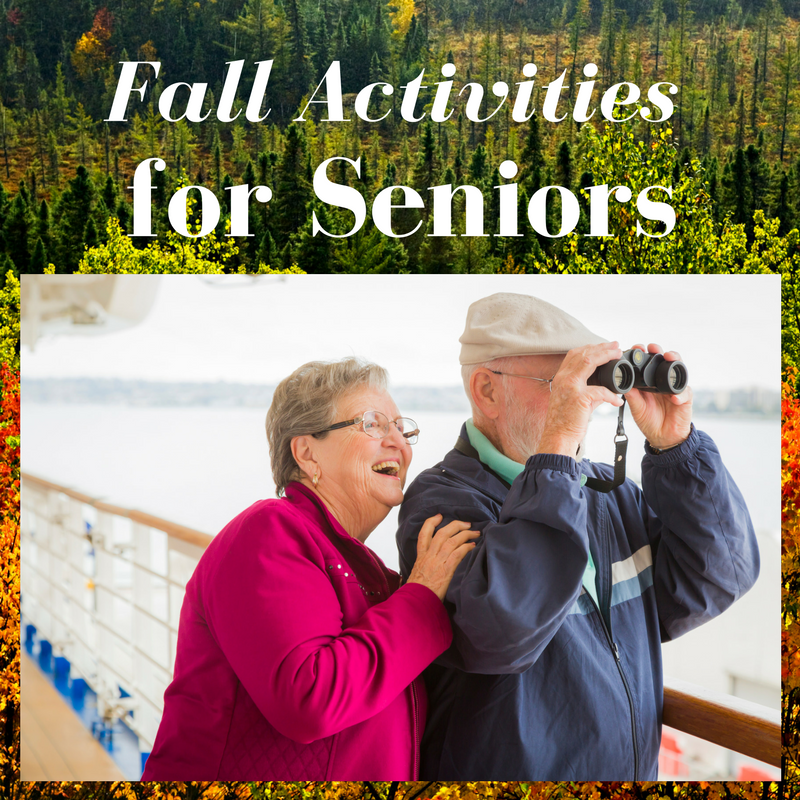 Help your senior enjoy all that autumn has to offer while staying safe and receiving the support they need. Contact David Baim at Always Best Care today at (267) 217-7059 or visit us online to schedule a free care consultation. Many aches and pains are a natural part of getting older; however, this doesn’t always have to be the case. Being proactive and taking good care of your body helps reduce chronic pain and associated discomfort. September is Pain Awareness Month and a reminder for seniors to speak up if they are experiencing ongoing pain. Open and honest communication may identify problems early and can help seniors, their caregivers, and their healthcare providers to be more proactive in reducing pain and enhancing quality of life. One strategy to stay on top of pain is to remain active. Exercises don’t have to be strenuous to be effective. Yoga, Pilates, Tai Chi, walking, swimming, and biking all help to keep your muscles moving and build strength and flexibility. Activities you may participate in with friends help with safety, motivation and socialization. Physical therapy and regular exercise is an excellent source of discomfort relief and may enhance the body’s natural production of endorphins, which block pain, but are also responsible for our feelings of pleasure. Another natural element in reducing pain is your diet. Certain foods can trigger inflammation while others reduce it. Know your body and how it responds to specific foods. Foods that are high in omega-3 fatty acids, vitamin C, and flavonoids can be beneficial. Adding spices such as ginger, turmeric, and chili powder adds flavor and decreases inflammation. Additional foods to add to your diet include fish, blueberries, raspberries, black beans, tomatoes, dark leafy vegetables, and green tea. A healthy diet also helps with weight management, another factor in managing pain. Practicing meditation clears the mind and support pain management. It allows seniors to focus on the mind-body connection and deep breathing. Though this may not seem like much, many people find it helps them to overcome pain and keep a more positive attitude. Being able to relax the body and mind releases tension that can build up in muscles and contribute to pain. Practice mindfulness, the basic human ability to be fully present, aware of where we are and what we’re doing, and not overly reactive or overwhelmed by what’s going on around us. There are classes throughout the country all about mindfulness and meditation. Massage or acupuncture may also help relieve pain naturally by alleviating tension in the muscles, improving blood flow, and restoring positive energy flow through the body. Massage is used to promote relaxation and well-being and is beneficial in treating musculature of the body such as postural misalignment and many painful conditions. Go to your local salon or spa to book a massage. If seniors are taking prescription or over-the-counter medications for pain relief, they should talk to their doctor about potential health risks and interactions with other medications. Seniors’ bodies may respond differently than young adults and process these drugs differently. There is also the risk for substance misuse or addiction. An in-home caregiver can support proper medication management and keep seniors safer as they navigate around their home and community. Pain is a sign that there is an underlying problem that should be addressed. By treating pain when it occurs and taking steps to improve flexibility, balance, mobility, and stress reduction, seniors can be more proactive in managing pain and leading an active lifestyle. With the support of an in-home caregiver, seniors stay more active, prepare healthy meals, and receive reminders for appointments and medications. In addition, a caregiver can help them to schedule doctors’ appointments should they experience pain. To learn more about supportive senior services such as in-home care, contact Always Best Care at (267) 217-7059 or email David Baim, dbaim@abc-seniors.com.